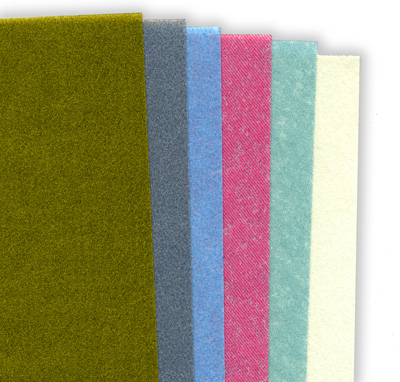 These papers with super flexible non-woven backings are excellent for polishing softer materials such as acrylic, polyurethane, solid surface composites, fiberglass, aluminum, precious metals and wood with finished surfaces  whether flat and contoured. For best results: work in sequence from the coarsest to the finest grade. Use with or without water. Papers can be cut into strips for use on Zonas Sanding Sticks, or taped using 37-959 Super Bond Film Tape and made into a band for use on Finger Sanders. View or print a color chart with specs and info. Six micron grades (Green-30 micron / Gray-15 micron / Light Blue-9 micron / Pink-3 micron / Aqua-2 micron / White/1 micron) from 30 (coarsest) to 1 (finest) microns in packs of 10 8-1/2″ x 11″ sheets per grade. A 6-sheet assortment pack is available with one of each grade (37-948). CD/DVD repair  Metal & alloy finishing  Finishing jewelry & precious metals  Finishing plastic, polyurethane, wood, & solid surface composites  Removes scratches and restores transparency to acrylic & polycarbonate windows on buses, aircraft & trains  Precision micron grading makes a uniform, consistent finish.  Shortens hand-sanding & buffing time.  Reduces finishing steps  saves time.  Use wet or dry.  Color-coded micron grading for easy selection. MADE IN USA View or download the SDS/MSDS sheet on Wet/Dry Micron Graded Papers . Each sheet of 3M Micro Graded Wet/Dry Polishing Paper is 8-1/2″ x 11″. Each grade is color coded for easy identification. 1-in. 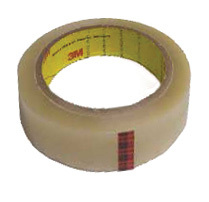 x 36 yard Super Bond Film Tape 396 for use with 3M polishing papers with super flexible backings. Use tape to make polishing paper bands for Zona Finger Sanders or other sanders.